I was looking through a chat transcript when I came upon a link that was not auto-hyperlinked. I did some more digging in the Sandbox and it appears that only in message one boxes, links are not auto-hyperlinked. 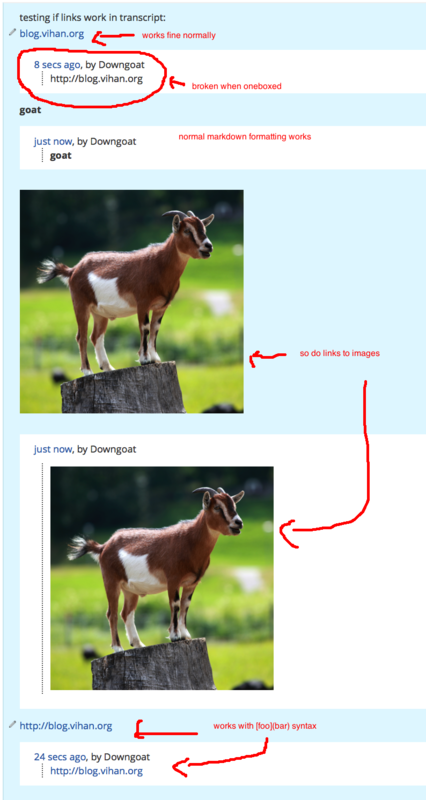 Describing the image, markdown in message oneboxes work along with links to images, and links using [foo](bar) syntax, this seems to only affect plain urls getting auto-hyperlinked. Browse other questions tagged bug chat hyperlinks onebox .